After discussing the elusive scent of figs yesterday, I was surprised to open my issue of Cosmetic World and discover a mention of an interesting new launch from Guerlain. 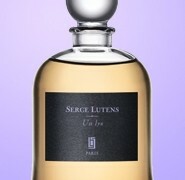 Figue-Iris was created by Jean-Paul Guerlain in collaboration with Sylvaine Delacourte, Guerlain’s creative director. As Ms. Delacourte described in the article, “Today, fig is very well known and popular… I wanted to contrast it with something very chic.” Figue-Iris combines the green freshness of fig with warm, powdery iris. Laurier-Réglisse was created by Firmenich’s Marie Salamagne and it combines “the sweetness of licorice wood and the freshness of laurel with bergamot, orange blossom, violet, galbanum and amber.” Both Figue-Iris and Laurier-Réglisse will be launching in April of 2008, priced at $52 for 4.2 oz. eau de toilette bee bottle. Moreover, Shalimar lovers will be glad to discover Eau de Shalimar, which “builds on the contrast of the bright and dark notes found in the original Shalimar.” The other new Guerlain launch includes Cruel Gardenia as part of L’Art et la Matière collection, which is available only from the Guerlain boutiques. Perfumer Randa Hammami of Symrise worked with the notes of damask rose, peach and neroli to build the gardenia accord. The gardenia is supported by violet, ylang ylang and white musks. 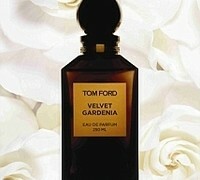 The classical Guerlinade accord of tonka bean, vanilla and sandalwood forms the backdrop for the floral notes. Finally, L’Ame d’un Héros (the reissue of Coriolan) will join Les Parisiennes collection. Via Cosmetic World and Osmoz.fr. Donald: Une parfumeuse m’a dit que Shalimar Light va être arrêté… Vous en savez plus ? Does anyone else get a strong feeling of Joy de Patou from My Sin? I’ve had it on for about an hour and I’m not getting the edgy-civet-musky-come-and-get-me I was hoping for. Cuir de Russie and Estee Lauder’s Youth dew are pretty animalistic on me. Do you think the scent has faded with time? The bottle is in its original box. I LOVED your review of My Sin – it’s why I bought it. Wendy Roper: I’d like to add something about Celui de Jean Desses. (Just found this blog). About two years ago I tried to recreate this perfume with the help of a ‘Nose’ in the perfume industry. He researched it and found out the formula and the name of the original creator and the manufacturer of it. He made a sample for me but alas it was not the perfume I remembered. My ‘Nose’ said that it was difficult to recreate as some of the original ingredients were now no longer available. He wasn’t able to divulge what the original ingredients were, just that it was a chypre-leather base, nor did he reveal who the original manufacturers were (professional etiquette I presume). But he did say that if a bottle of the perfume had lasted until today it might still be possible to recreate it, as a near-as-possible recreation. Alas, although I have several bottles of it, none of them are in a fresh condition. If you (Bois Jasmin) could find the lady who had that bottle of fresh perfume perhaps it could be recreated from that. I miss your notes, back to write soon?